Monumental work of radical naturalism gets masterly treatment. In May 1952, Olivier Messiaen began to systematically notate and catalogue French birdsong, an endeavour that would soon find expression in the Catalogue d’Oiseaux (Catalogue of Birds), composed over an approximately two-year period between 1956 and 1958. This sounds like a clinical collection of transcriptions, akin to a field guide for bird-listeners, but although Messiaen took a characteristically exacting and precise approach to his notations, this monumental work was far more poetically ambitious than its title suggests. He explained, “I have tried to render exactly the typical birdsong of a region, surrounded by its neighbours from the same habitat, as well as the form of song at different hours of the day and night… accompanied in the harmonic and rhythmic material by the perfumes and colours of the landscape in which the bird lives”. Over 13 pieces divided into seven books, Messiaen painted a series of detailed and impressionistic tone poems that stretched the limits of possibility for expressionistic tonal pianism. This was facilitated by Messiaen’s second wife Yvonne Loriod (1924-2010), a pianist of extraordinary and formidable technique who accompanied Messiaen on many of his data-collecting field trips, and the Catalogue d’Oiseaux was composed for her. Many years later, while teaching at the Conservatoire de Paris, Loriod taught a young pianist named Pierre-Laurent Aimard, who subsequently developed a close relationship with Messiaen and became a leading interpreter of his piano music. Aimard’s new recording, which he describes as “a grand hymn to nature” is characterised by clarity and precision, with nuanced attention to the voices of birds and their natural sonic competitors – to cite just one marvellous example, the frogs in La Rousserolle Effarvatte (The Reed Warbler)! 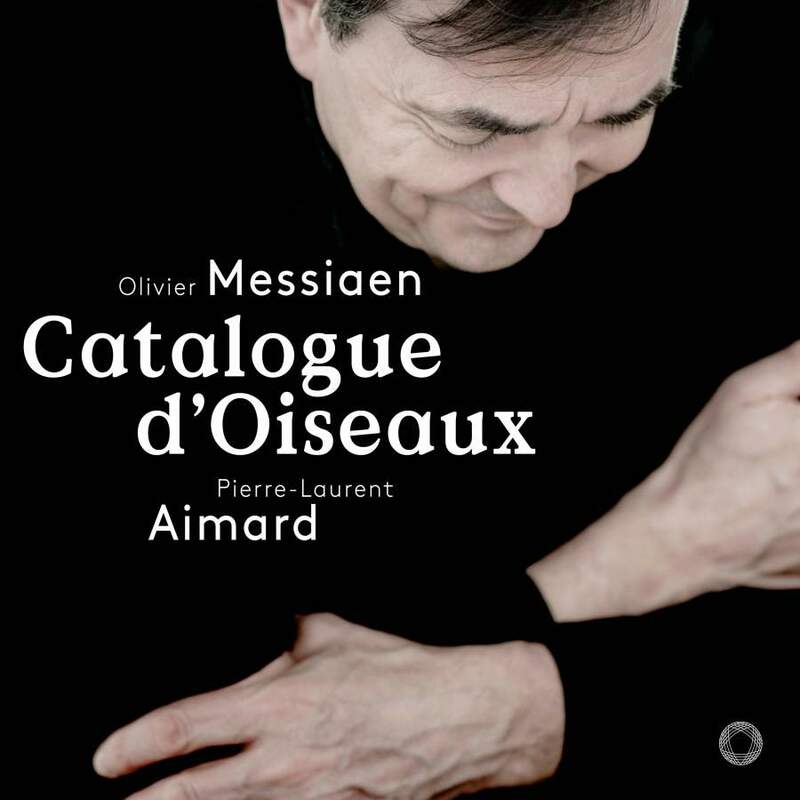 The Super Audio sound is resonant and present and this sumptuous package – with liner notes that include Messiaen’s detailed annotations on all of the pieces – includes a bonus DVD interview with Aimard. Messiaen's Quartet for the End of Time the centrepiece in a concert that left the audience far from tormented. Fröst and friends lend style to Messiaen’s prisoner-of-war outfit. Life, Birth, Death, Eternity and the whole damn thing. Chris van Tuinen and Gladys Chua will escape from a prison into the open air in four uniquely site specific concerts. The London-based Australian violinist talks about playing with the Sydney Youth Orchestra again after her time abroad. The Dutch independent has signed the French pianist whose plans include Messiaen’s mighty Catalogue d’Oisseaux. The self-confessed workaholic talks about her career, her Parsifal nightmares, and why she will only stay in a hotel with a pool. He's toured Australia in a quartet of siblings, chased dreams to Israel, and this year performs Messiaen with Simone Young. Richard Tognetti's new odyssey leads a line up including Brett Dean's Hamlet, Orwell's 1984, Messiaen's Turangalîla and more. Two Aussie expats give daring performance of Messiaen's love-death ritual. The Australian maestro will bring the expat supergroup together with ANAM students in Melbourne this July. The Grammy Award-winning French pianist has been recognised for a life devoted to the service of music. Innovative programming and restrained refinement allows ASO to shine. ★★★★½ Davis reinvigorates Mahler with his generous attention to detail. ★★★★★ Two hours contemplating the infant Jesus really is heaven on earth.